Hong Kong&apos;s major shopping centers, tourist attractions and the Hong Kong Convention and Exhibition Centre are also all within walking distance from the Hotel. 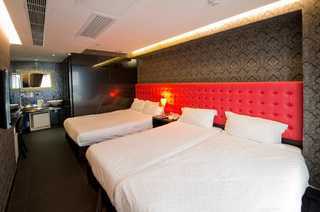 The hotel offer relaxing environment with over different mix and match in style for their choices. All rooms are equipped with the latest facilities such as high speed wireless broadband internet access, 32 inches wall mounted HD LCD color TV and iPod docking with radio.